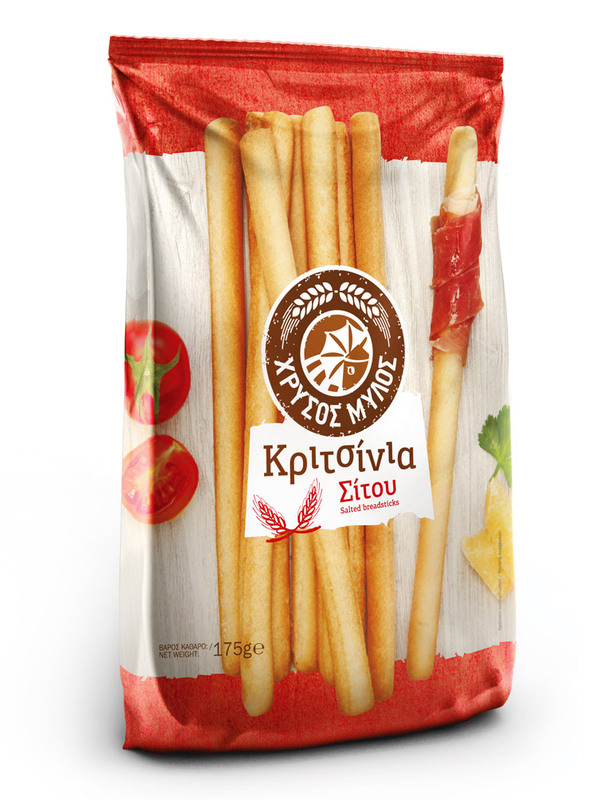 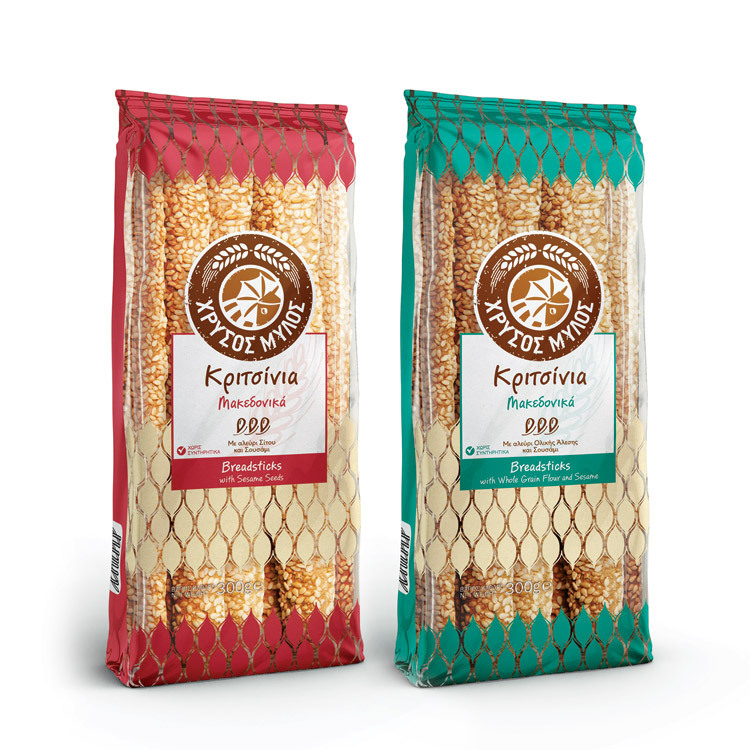 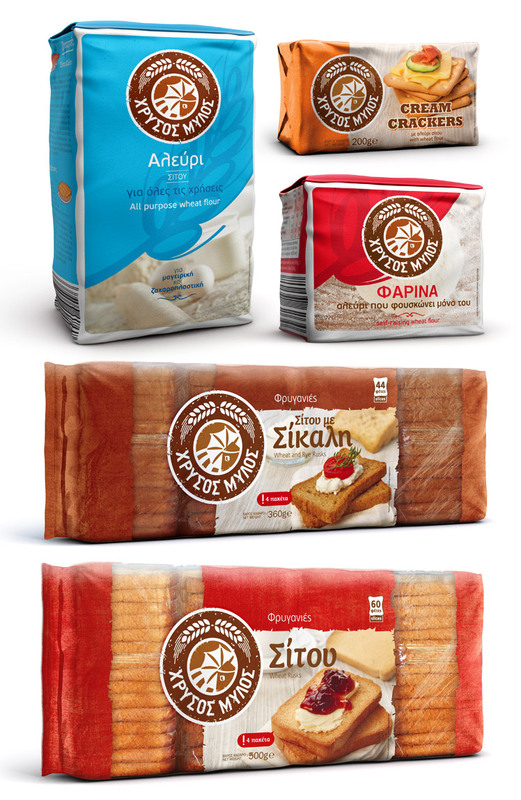 The rebranding of Chrysos Mylos (Golden Mill), Lidl's brand for flour-based products, was certainly a demanding task. 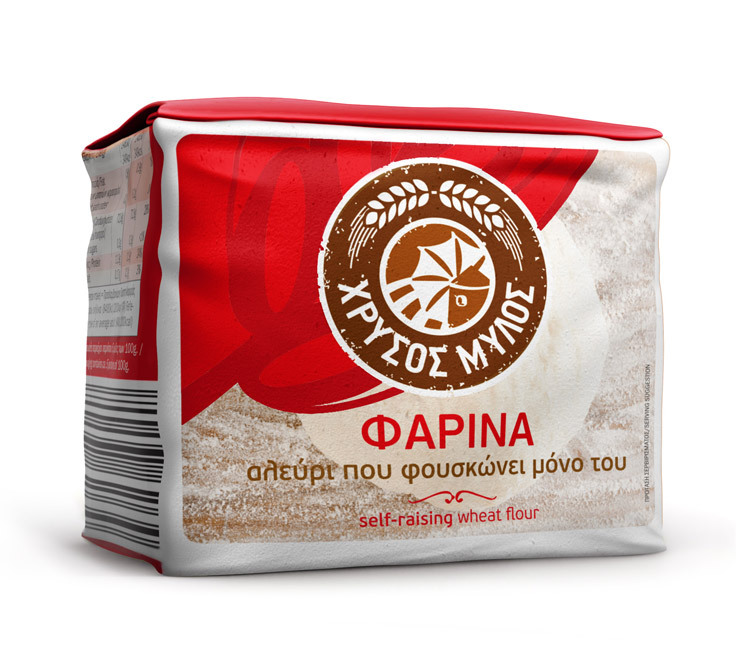 First of all we had to turn a private label into a full-fat retail brand. 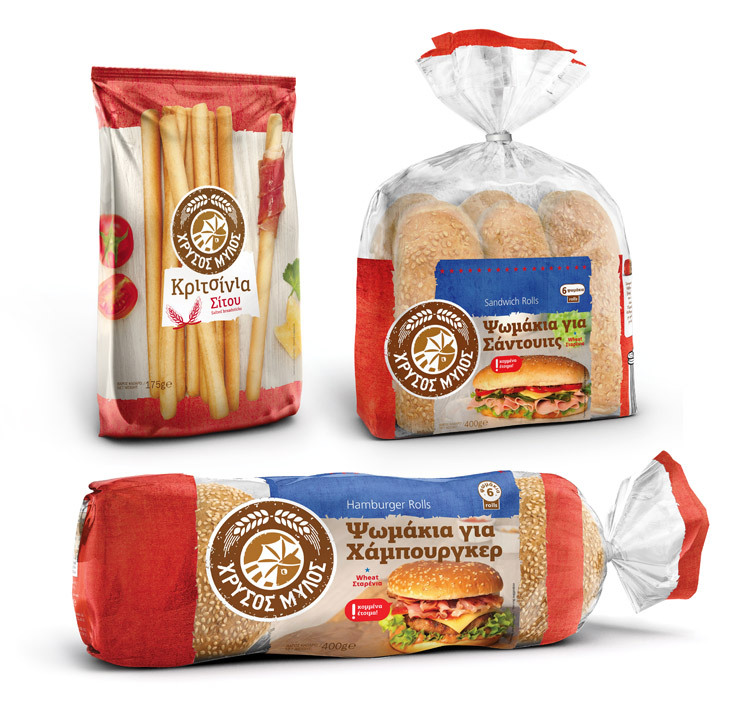 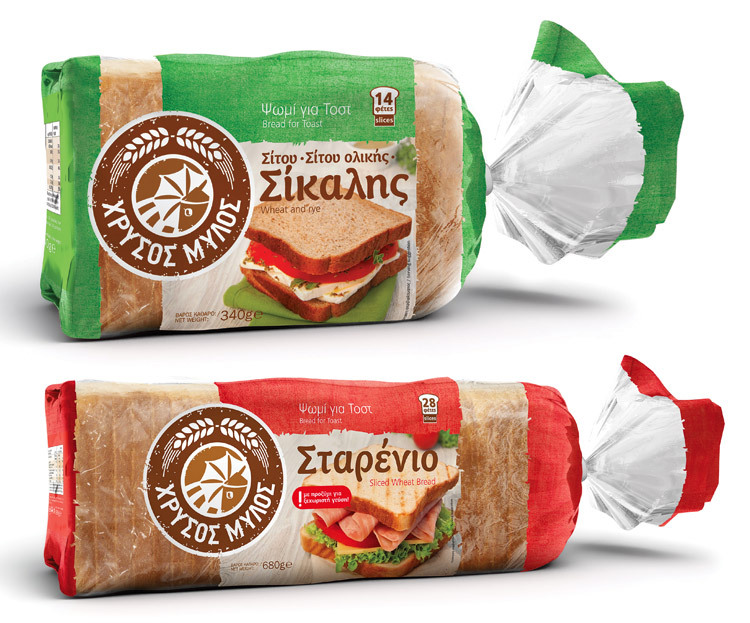 At the same time the brand portfolio was so wide and diverse to include more than 50 different products, from regular flour and toast bread, to cream crackers, American burger rolls, French brioche, Easter tsoureki, hand-made Cretan rusks or traditional breadsticks from Macedonia, demanding a thorough study and efficient treatment in terms of branding. 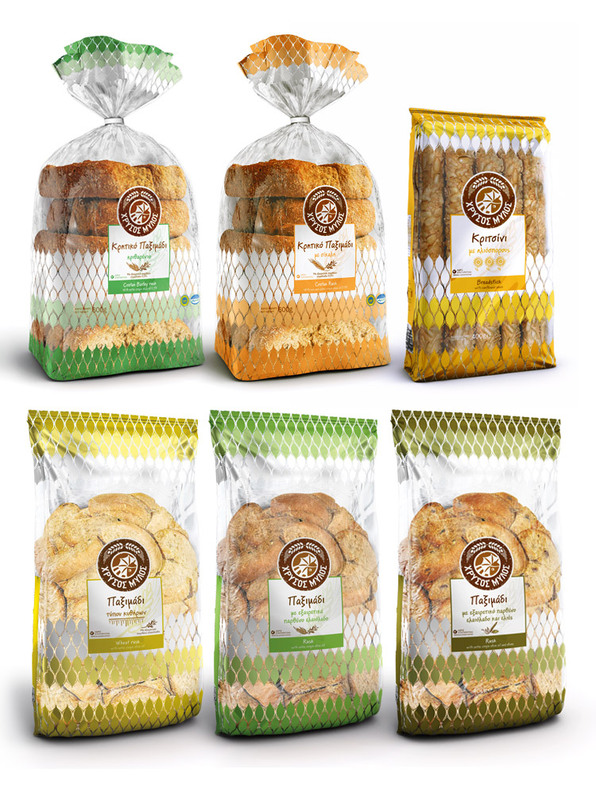 We needed to develop an identity and packaging design system that would be suitable for both mainstream everyday foods and artisanal local delicacies. 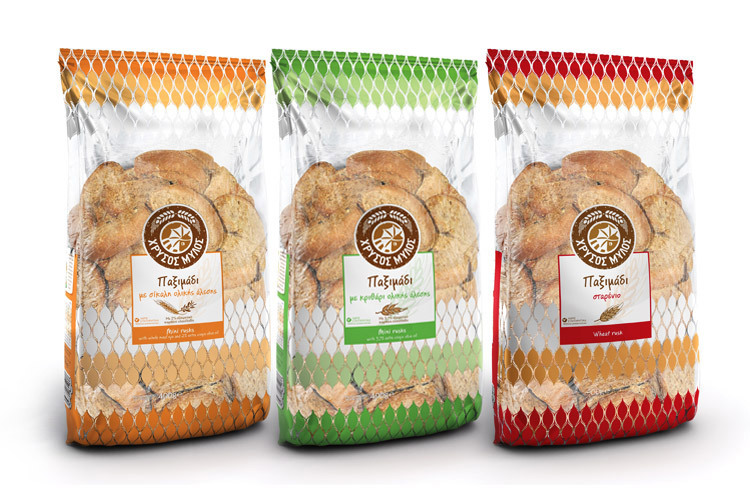 The final outcome was widely appreciated by consumers, leading to immediate sales increase and an improved brand image for the large retailer.